Yesterday, we read the story of the "Terrible Lie" that caused sin and brokenness to enter God's perfect world. The last words of the story remind us of God's promise that one day, "God Himself would come (JSB, pg 35)." Today, we skipped most of the Bible (which we had just read during Advent) and read the Christmas story (entitled "The Light of the World!" in the Jesus Storybook Bible). 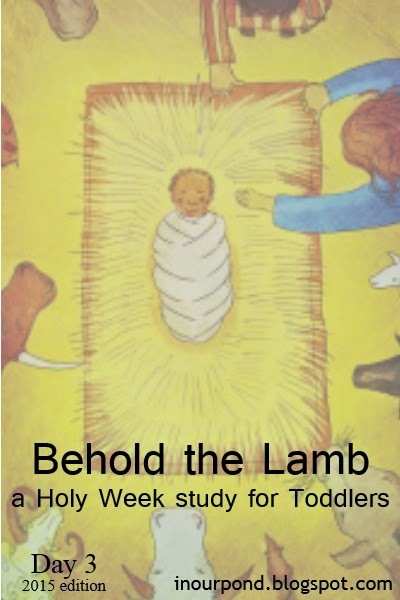 Since the kids are so young, we wanted to remind them about the Jesus they already knew- the baby- before we deal with the crucifixion later this week. 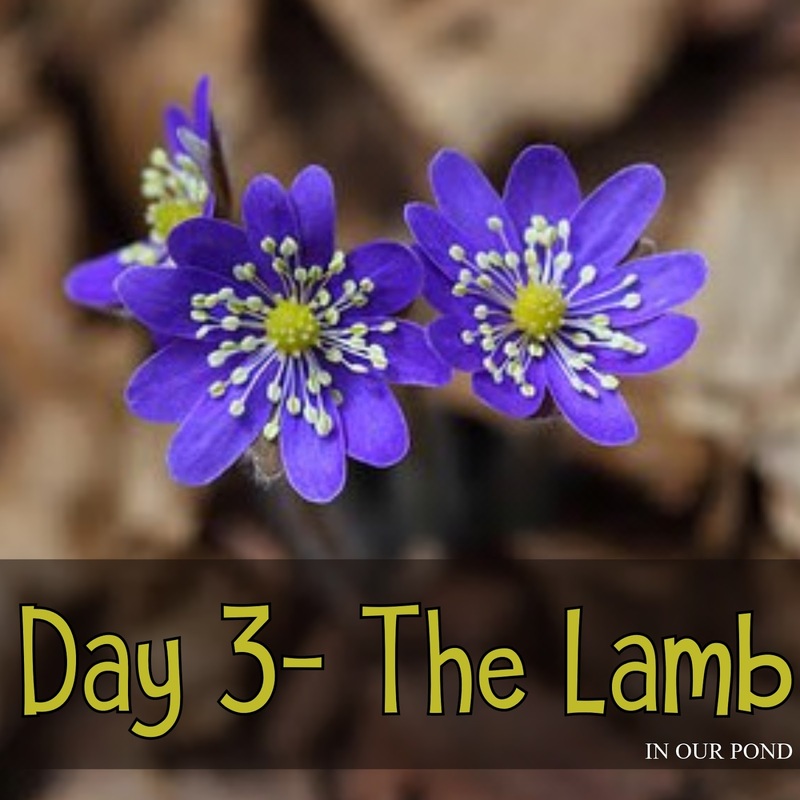 Continuing the theme of Jesus being the Lamb of God, we read the story about the shepherds visiting. Our Bible time was rushed tonight because the kids were very restless. And, this blog post is shorter than normal because I just got back from buying our Passover lamb. You can watch the Jesus Storybook Bible video of this story on Youtube.